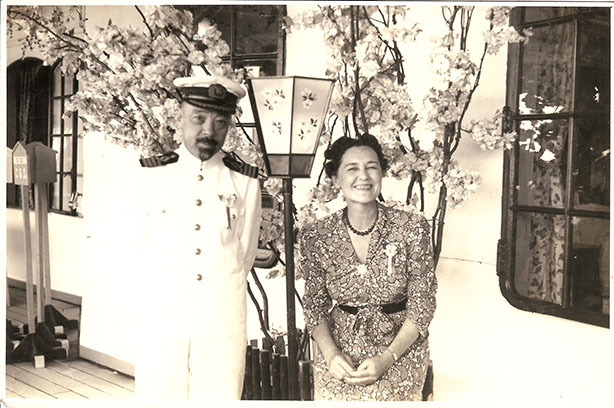 The LCS Neil James Memorial Photo Collection consists of images that document the life and travels of Neil James during the period 1935 - 1943. 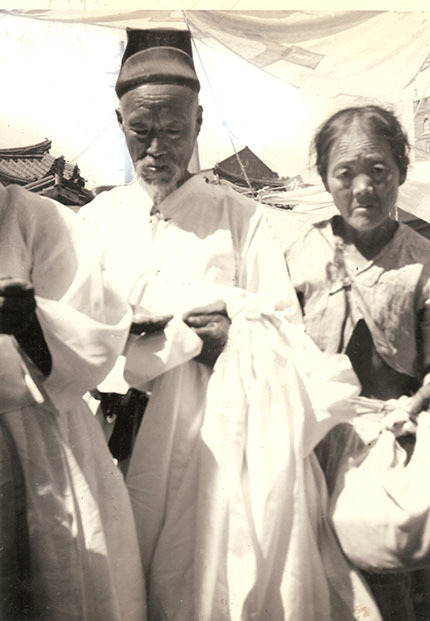 Currently, there are over 100 images cataloged in the database and displayed here. Additional materials still are as yet uncataloged. As volunteers can be recruited to support this project, the remaining images will be scanned and added to the database. Originals of these images are archived at the Lake Chapala Society. This page is designed to provide just a taste of the materials contained in this collection. Twelve images are drawn at random from the database and displayed below. Click on the image to enlarge it and read additional information regarding the image and its context. To view additional images, click the I WANT MORE icon or use FIND AN IMAGE to search the database for specific content. Description: A Lapp Storehouse on stilts. Locks and keys are practically unknown among the Lapps. 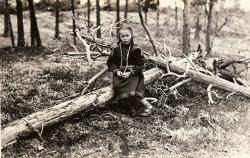 Note: Handwritten note on back of photo: "A Lapp Storehouse on stilts. Locks and keys are practically unknown among the Lapps." 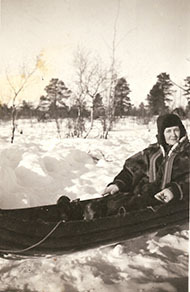 Description: Neill James in a pulkka (a kind of toboggan) which has only runner on the bottom. 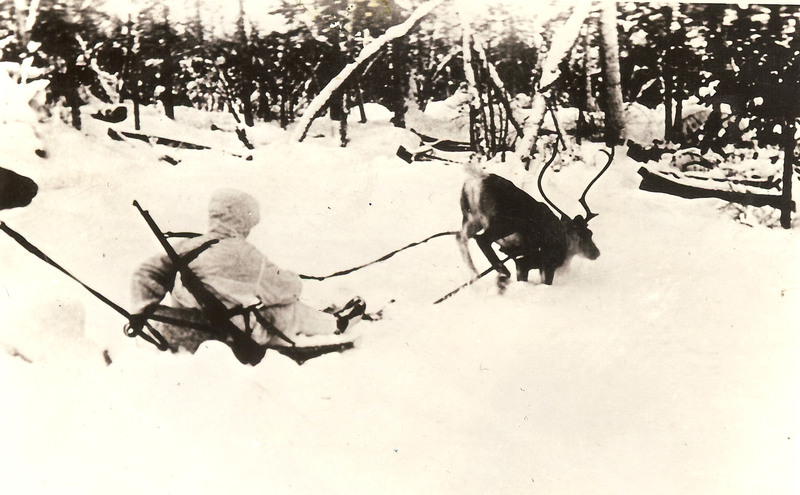 She traveled 2,000 miles in a reindeer-pulled pulkka. Note: Note attached to photo: "Neill James in a pulkka which has only runner on the bottom. 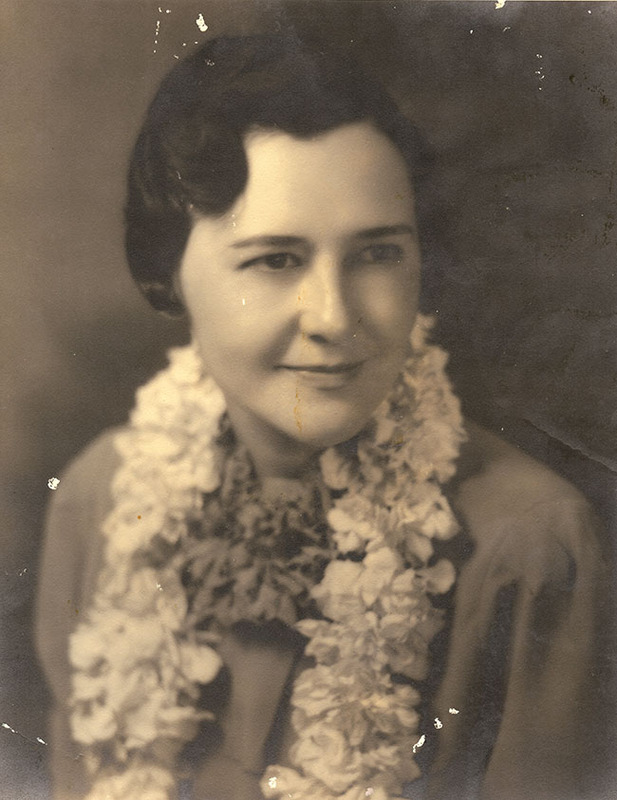 Miss James traveled 2,000 miles driving a reindeer riding in a pulkka." Description: Neill James clad in Lapp costume. Note "Four Winds" which is stuffed with eiderdown. 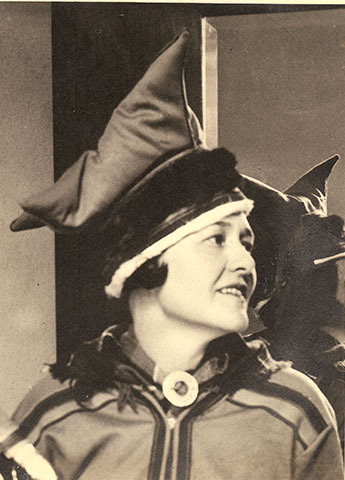 Note: Typewritten note: "Neill James clad in Lapp costume. Note "Four Winds" which is stuffed with eiderdown." Note on back: "Neill James in Imari Lapp costume which she wore while living with the Lapps." 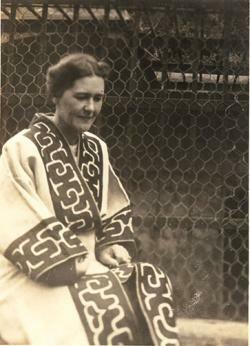 Description: Neill James in Ainu cloak. Neill James spent time with the Ainu people of Hokkaido Island, Japan. Her book, "Petticoat Vagabond in Ainu Land and Up and Down Eastern Asia", published 1942. 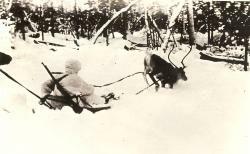 Description: Skijoring with a reindeer. Description: Manchu fisherman using his favorite Cormorant on Sungari River at Kiiring, Manchoukuo. Per Wikipedia: "Cormorant fishing is a traditional fishing method in which fishermen use trained cormorants to fish in rivers. 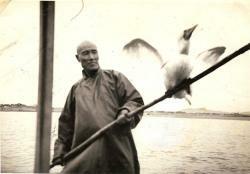 Historically, cormorant fishing has taken place in Japan and China since about 960 AD." 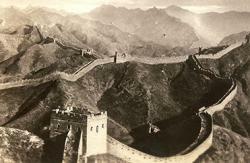 Description: Great Wall of China. Neill James notes, "The Great Wall of China crawls like a dragon along the summit of the mountains between China and Mongolia." Note: Note on Photo: "The Great Wall of China crawls like a dragon along the summit of the mountains between China and Mongolia. Description: Kirsti Sarre Kaananen, a young Finnish, posing for Neill James. Description: Neill James wearing Hawaiian Lei. Description: Neill James fording stream in Hokkaido with no bridge. Note: Note on Photo: "Hokkaido. 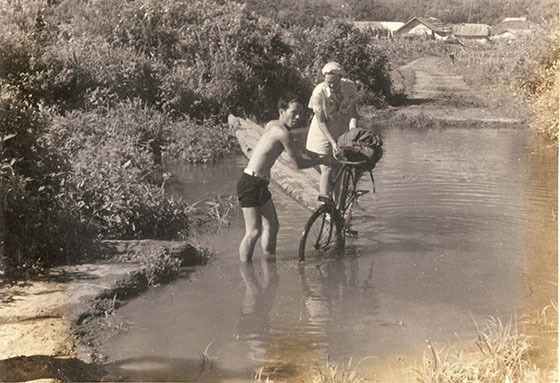 Showing How I forded a stream with my bicycle when there was no bridge. Upper Saru River Valley."